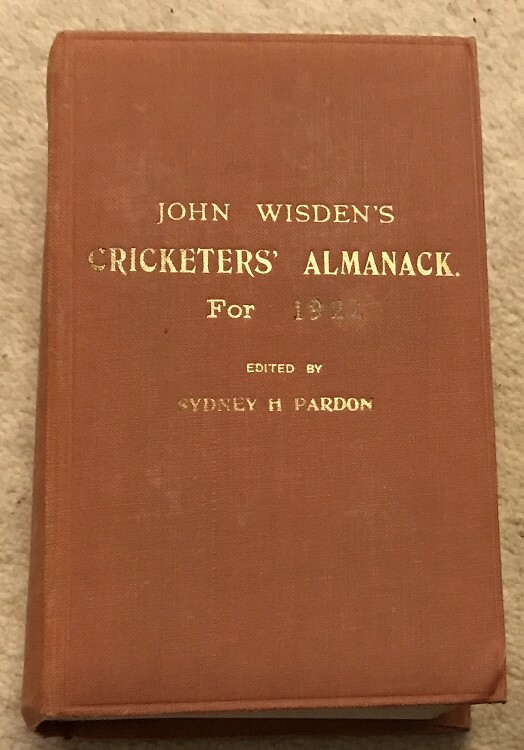 This is a rebound 1922 Wisden , it is rebound in the Publishers Rebind Style. The boards are not exactly as I would expect from a publishers rebnd but very close indeed. This Wisden is in Good condition. There is one odd thing though, it has an 1905 front cover bound inside! Hence the low rating. The added years are a bit dark on the boards. Internally this book is very nice , tightly bound with a super photoplate.